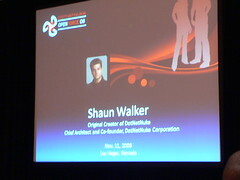 Shaun Walker's DotNetNuke keynote was a great overview of the current state of DNN and the road ahead. The road ahead entails a professional edition of DotNetNuke that will include unlimited support. 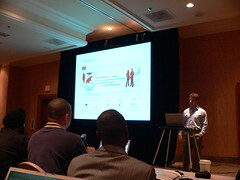 The current version of DNN will be called DotNetNuke Community edition. Shaun also announced the public availability of DNN 5.0 RC2.